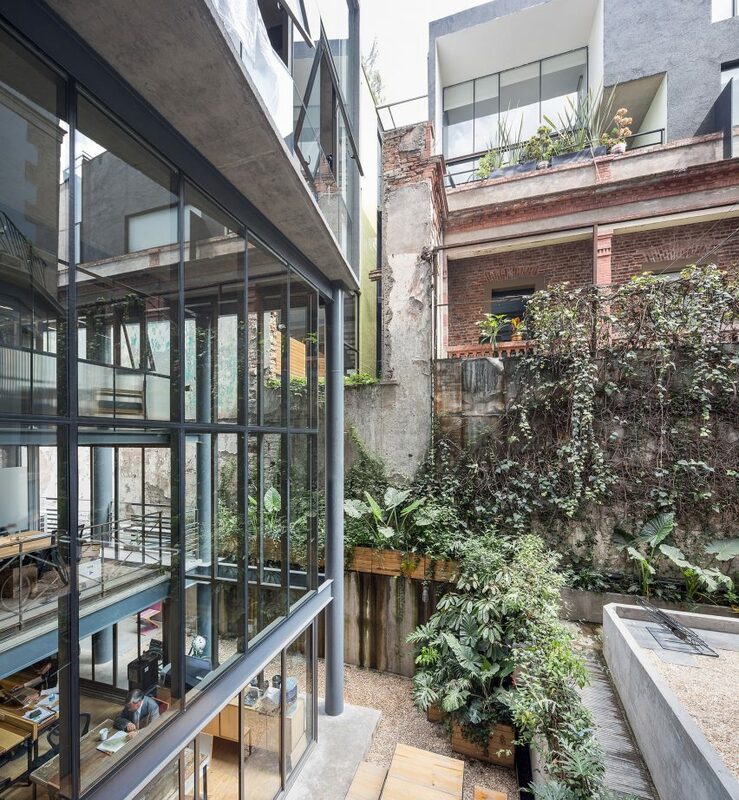 Mexico City architects Francisco Pardo and Julio Amezcua have added an architectural "prosthesis" on top of a dilapidated brick residence to turn the building into offices and a co-working space. 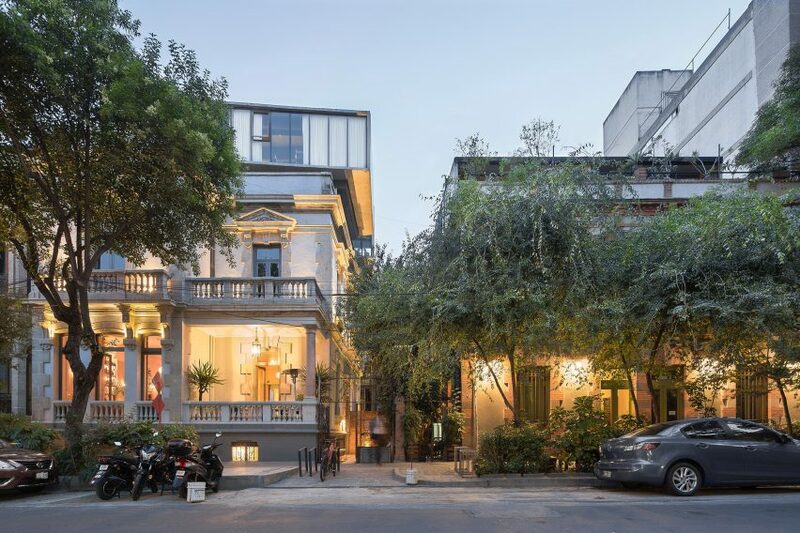 The 19th-century house is located at Havre 77, in the central Juárez neighbourhood of the Mexican capital, just south of the Paseo de la Reforma thoroughfare. It was once home to a wealthy family, before the revolutionary war and two major earthquakes drastically changed the area. As part of a recent regeneration effort in the vicinity, the rendered brick building was renovated and extended to provide a mixed-use venue. 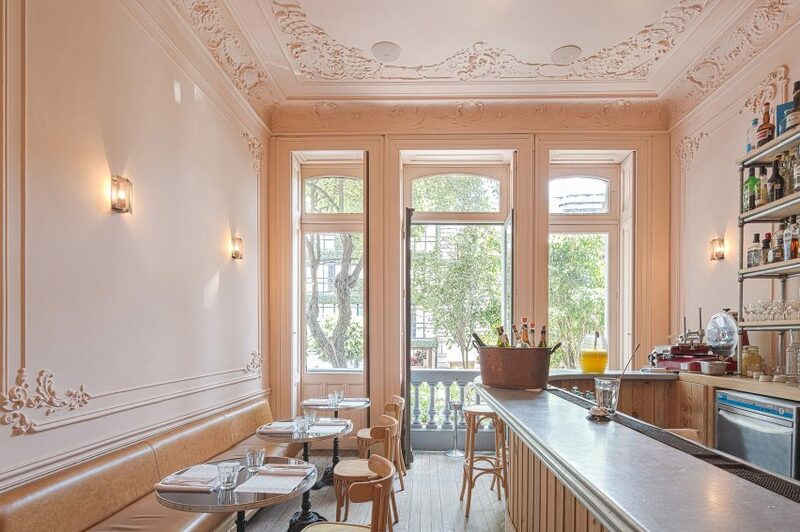 Pardo and Amezcua, who founded the firm AT103 together in 2001, overhauled the building to accommodate a restaurant called Havre 77, and added private and shared workspaces. The main structural work includes a modern extension that piggybacks onto the three-storey original house, creating two extra floors on the roof and a full-height addition behind. 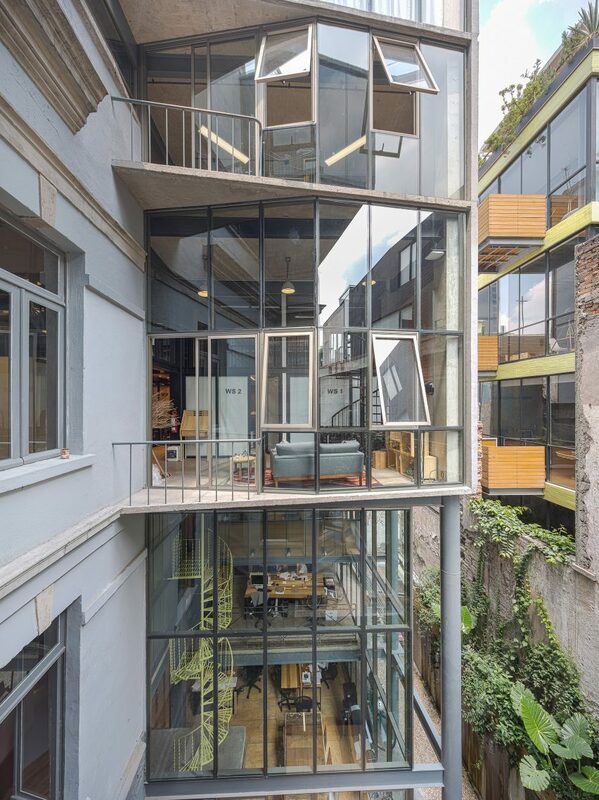 "Like the prosthesis of a human body, a new steel and concrete structure comprising two floors grips the top of the former brick building, while an additional branch lies at the back of it," said the architects. The extension has ample glazing, and overlooks a verdant courtyard at the property's centre. In the old house, period features like wall and ceiling mouldings are restored to their original glory, although some surfaces are left with a distressed look. 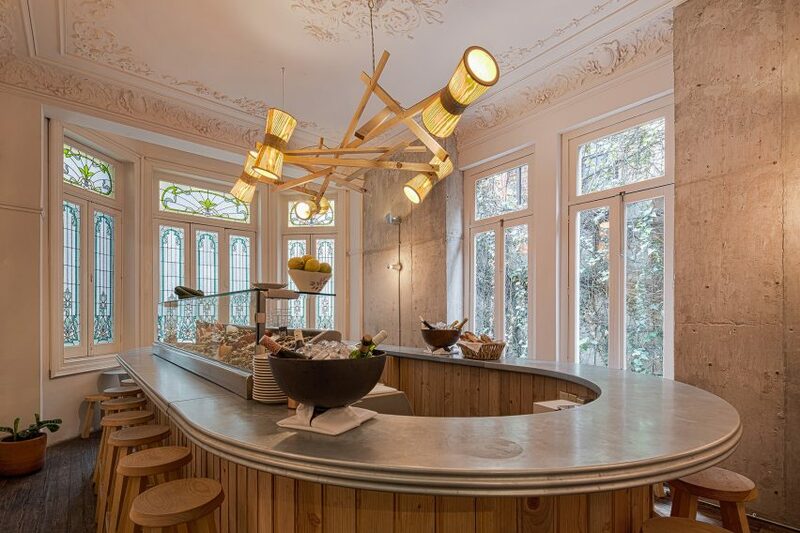 Contemporary lighting fixtures also contrast with the older decorative elements in the restaurant, where an oval-shaped bar is surrounded by wooden stools and small tables spill out onto a terrace. "While evoking different eras through different languages, the existing building and the new additions are naturally integrated and complete each other like two sides of the same coin," the architects said. 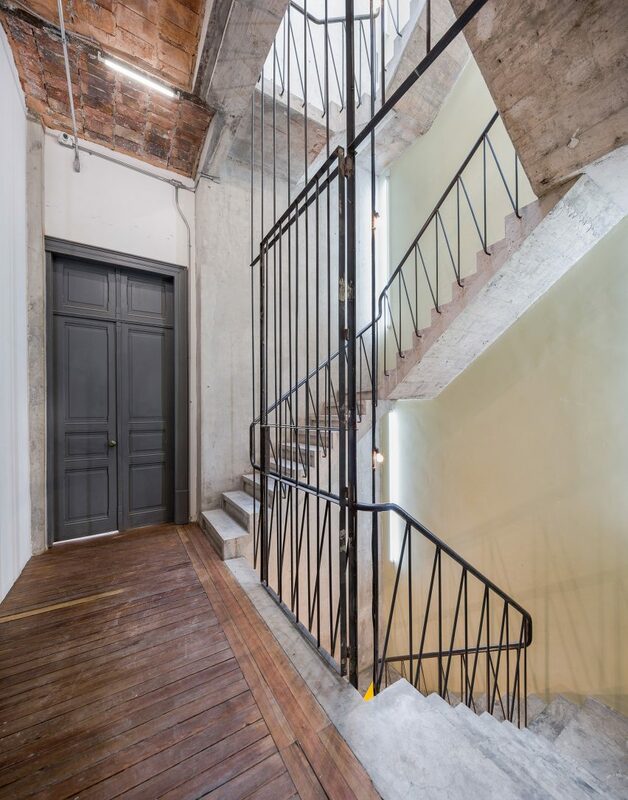 Exposed bricks, timbers and concrete are found throughout the building – particularly the staircase that links all five floors. 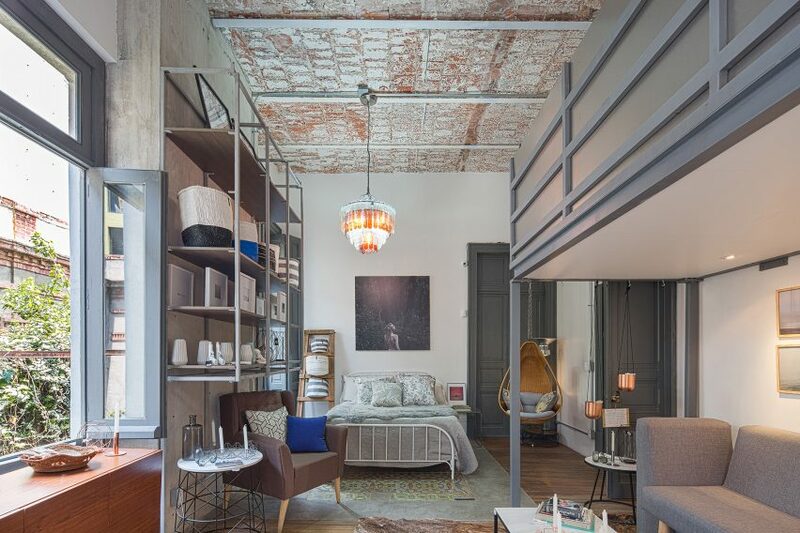 By giving the old home a new lease of life, the project aims to catalyse further adaptive reuse developments in the area. 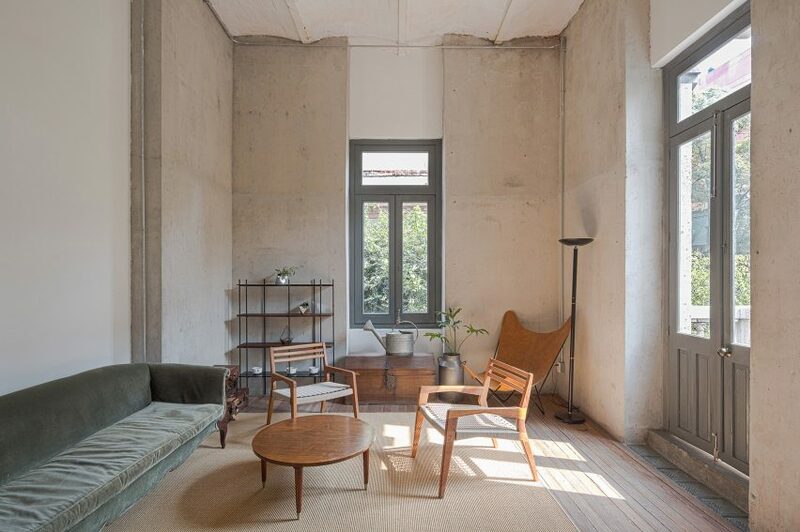 "This is not just a restoration, it's an intervention," said Pardo, who also founded Francisco Pardo Arquitecto. "Our project aims to change the DNA of a neighbourhood to respond to current social needs." "Instilling new life-blood into an abandoned lot, Havre 77 opens onto to the street and brings it in, through an interstitial plaza on the south side," he added. 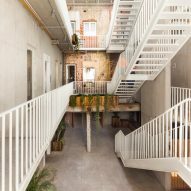 As part of the same regeneration programme, known as ReUrbano, Pardo has converted the house next at number 67 into another mixed-use space and a residence at the nearby Milàn 44 into a market. 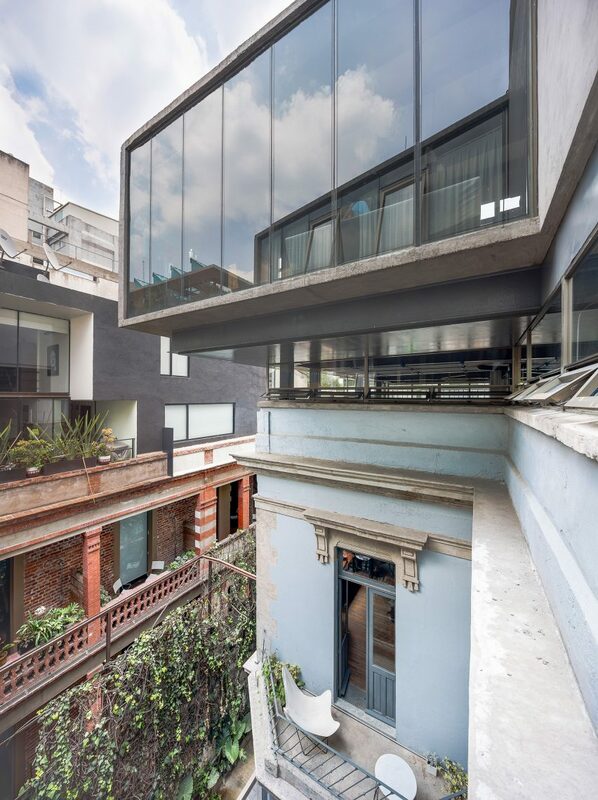 Other Mexico City buildings that have recently received a revamp include a mid-century concrete structure turned into a contemporary art gallery and a derelict block converted to provide apartments, offices and shops. Photography is by Diana Arnau. the rendered brick building was renovated and extended to provide a mixed-use venue.